A proposition by Meyer and Herscovitch (2001) that commitment should have a ‘core essence’ regardless of the context in which it is studied opens up the prospect of investigating the role of commitment in tax compliance behaviour. Commitment may influence behaviour independently of other motives and attitudes and, in fact, might lead to persistence in a course of action, even in the face of conflicting motives or attitudes. Generally, commitment is defined as an obliging force that gives direction to behaviour. This is experienced as a mindset which in turn characterises different dimensions of commitment. 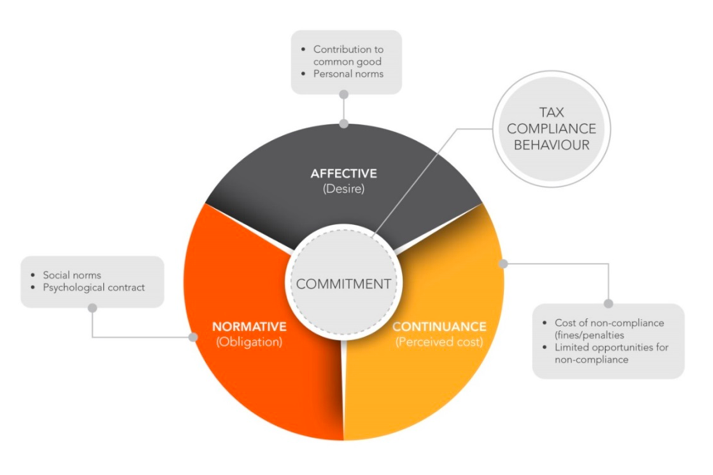 These dimensions – namely, affective, normative and continuance commitment – are investigated in a tax compliance behaviour context in our paper. 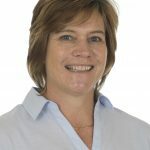 The paper aims to investigate the relevance of taxpayer commitment as a factor that shapes the willingness to be tax compliant; to explore the discernibility of these dimensions in individuals; and to determine the correlation between the different dimensions of commitment and tax compliance intention. The paper also proposes a conceptual model of commitment that can be used as a tool to analyse taxpayers’ compliance. By updating standard assumptions about tax compliance behaviour, new tools and strategies to promote voluntary tax compliance can be inspired. The study entailed a two-phase design. First, relevant literature on the topic of commitment was systematically reviewed in order to define and discuss the possible dimensions of taxpayer commitment, and to develop a model of taxpayer commitment. Thereafter, a survey was conducted with undergraduate and postgraduate students, as well as staff at a South African university. Statistical analysis was used to empirically corroborate the assumptions made in the model of taxpayer commitment. There are two distinct elements in the affective dimension of commitment: 1) recognition of a purpose (wanting to make a difference, identification and desire to be involved), and 2) a strong internal moral compass (acting consistently with one’s own values). In a tax compliance context, this could mean that paying taxes is thought of as a moral obligation and as being in the interest of the collective, or an act of contributing to the common good. Continuance commitment in a tax compliance context indicates a mindset of ‘you have no choice but to be compliant’, which could be driven by the expected cost of non-compliance and by limited opportunities for non-compliance. Normative commitment may be cultivated by two conditions, namely: 1) an individual has internalised a set of norms concerning appropriate conduct; and 2) the individual receives benefits, and experiences a need to reciprocate. The term ‘internalised norms’ means ‘the goal to follow a norm for its own sake’. It is thus of intrinsic value and does not consider external consequences. ‘The need to reciprocate’ reminds us strongly of the psychological contract which has been associated with tax compliance behaviour. Peoples’ social tendencies urge them to value reciprocity and fairness, and cause an inclination to develop and adhere to common understandings and rules of behaviour, whether or not they benefit from them individually or collectively. This reciprocal obligation is based on ‘social exchange theory’ which suggests that ‘a person receiving a benefit is under a strong normative (that is, rule governed) obligation to repay it in some way. Our empirical findings using principal components analysis (a common statistical technique for finding patterns in data and expressing the data in such a way as to highlight their similarities and differences) confirm the prevalence of the affective and continuance dimensions in the population surveyed, while the normative dimension could not be distinguished. This is similar to earlier research, which suggest that it is difficult to separate normative commitment from affective commitment empirically. 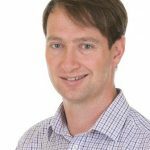 This evidence of inconsistencies between empirical findings and the theory has led researchers to regard the normative dimension as redundant, and raises the question about whether the affective and normative dimensions are worth being explored as two distinct dimensions in a tax compliance context. However, our results endorse the validity of the role of commitment in tax compliance behaviour, and warrant further investigation into the presence of the three dimensions of taxpayer commitment. An analysis of the relationship of different dimensions of commitment to tax compliance intentions reveals moderate to weak correlations, but with the relationships in the direction as expected. In other words, the higher the commitment to being tax compliant, the more positive the intention to comply will be. 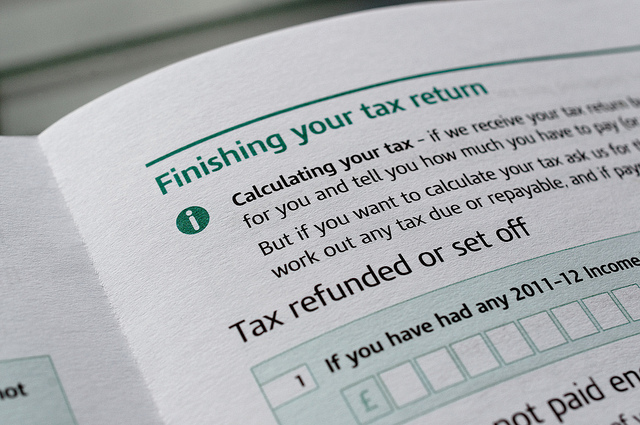 The relationship between continuance commitment and tax compliant intention is slightly lower than that of the affective dimension. By understanding how taxpayers are committed to being tax compliant, tax authorities can foster and encourage these mindsets, specifically the mindset of ‘desire’ that underpins the affective dimension. It is therefore suggested that tax authorities could foster affective commitment by helping taxpayers believe in the value of what they are doing. This implies that taxpayers should be made aware of how being tax compliant is relevant to the goals of their country. Are you aware of any studies, or have you studied, the effect of a perception of the tax authorities being unfair to small taxpayers on willingness to comply of even otherwise hitherto compliant taxpayers?